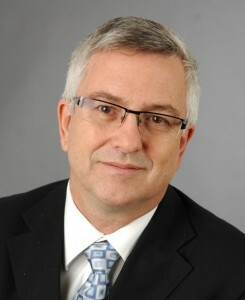 Michael Erdle is widely recognized as one of Canada’s leading technology and intellectual property lawyers and dispute resolution professionals. He provides practical, cost-effective solutions to technology, intellectual property and other commercial disputes, as a neutral facilitator, mediator and arbitrator. Choosing the right dispute resolution option depends on the nature of the problem. Facilitated negotiation allows business people and their advisors to negotiate better agreements. A facilitator can help build trust, reduce risks, and avoid and resolve conflicts. Mediation helps parties effectively settle disputes, by focusing on business interests and maintaining control over the final outcome. Arbitration provides timely, confidential and experienced adjudication of disputes, when parties want to avoid costly and public litigation. A project umpire provides ongoing resolution of the kinds of disputes that often happen over the course of a large project, such as scope and cost of “extras,” quality of deliverables. Med-Arb is a hybrid process that combines the flexibility of mediation with the certainty of arbitration. Neutral evaluation can be used to get an impartial, non-binding opinion early in a dispute. Expedited arbitration provides a quick and inexpensive way to get a final decision when time is critical. Michael Erdle has the business and legal experience – and the dispute resolution expertise – needed to resolve the most complex and difficult disputes. Click here for more details about Michael’s qualifications or to download a copy of his CV.